Volkswagen had planned to give the new mk8 Golf GTI a mild-hybrid powertrain but scrapped the plan at the last minute. 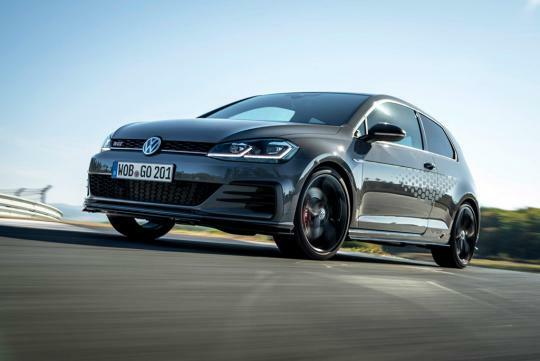 According to Autocar, Volkswagen has reached the final development phase of the eighth generation Golf GTI and has decided to use a revised version of the current EA888 2.0-litre turbocharged engine instead. A mild electric motor was supposed to be matched to the EA888 engine but current VW Group chairman Herbert Diess reversed the decision without us knowing why he did so. Instead, the car will have two power outputs like the current generation GTI. It is believed that the lower power model will have around 252bhp while the higher output one will make around 286bhp. Meanwhile, the standard golf will be getting the mild-hybrid technology with the 1.5-litre turbo four being paired to an electric motor and a 48V electrical architecture. The new Golf is expected to debut at the Frankfurt Motor Show in September.